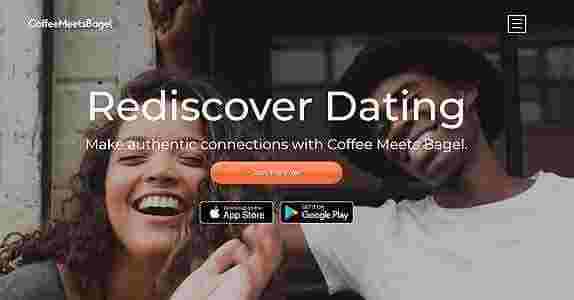 Coffee Meets Bagel (CMB) takes a cohesive approach to online dating with the ambition to match people more accurately for stronger relationships. Focusing on the quality of matches rather than the quantity, the dating app provides users with curated matches on a daily basis and the means to interact with them. The communication features are quite laid-back and intended to take the pressure off couples and let them chart a more natural course of chat, friendship and love. The fact that Coffee Meets Bagel is only available on mobile adds to the power of bringing couples closer together more naturally as they chat using their smartphones. The dating service was originally launched to make dating more personal and organic than some cynical swipe-right alternatives. Coffeemeetsbagel apparently attracts more girls than guys, perhaps explaining the cozy feel to the app and the streamlined approach to matching, which draws from Facebook profile information such as friends-of-friends. We feel this is a matchmaking app with a real force of purpose behind it, which is quite unlike any other dating services. Coffee Meets Bagel is only available on mobile platforms and the communication features are geared towards this style of dating. The main motivator is time-limited matches (known as bagels) where users only have 24 hours to ‘like’ matches/bagels before they disappear forever. Alongside instant messenger are special features including Photo Lab (to help you select the perfect profile photo), and ‘Send a Woo’, which is a special icon you can click to show a match you really like them. You’ll also be given plenty of tips and advice along the way by the dating app, which is more proactive than most. Successful registration on Coffeemeetsbagel rests upon a few essentials – 1. the ability to download and install the app; and 2. the capability to link your Facebook account. If you don’t want to connect your Facebook account then it’s game over. Coffee Meets Bagel doesn’t require a long registration process like some dating services because essentially it gets everything it needs from your Facebook profile. After this automatic profile generation, you’ll only need to hoover up a few other questions to round things off. It apparently helps match you by checking out your friends-of-friends on Facebook. All profiles are aimed at being eye-catching and easy to read on mobile devices. Your profile on Coffee Meets Bagel will likely reflect your Facebook profile, although you will have the freedom to customize it and make sure it uses the best photos. You’ll get the chance to choose around 9 photos in order to make an impression, as well as video. The Photo Lab feature can help you pick your best selfie (even if you think it isn’t). You’ll also be asked to complete 3 catchy slogans about what you are like, what you really like and what you’re looking for. You’ll be drip-fed curated matches (known as bagels) each day on Coffee Meets Bagel, largely based on the nature of your Facebook friends-of-friends. If you both like each other, then the gateway will be opened up for a conversation. However, you’ll need to like matches within 24 hours otherwise they’ll vanish because the dating service wants to avoid procrastination (surely the enemy of love). 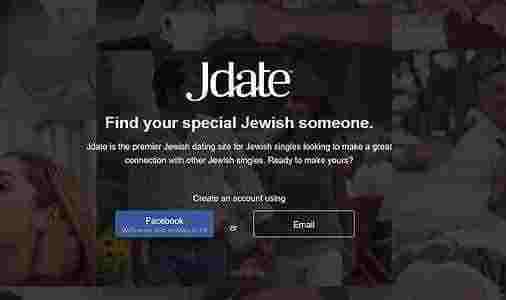 Coffeemeetsbagel has an aversion to bombarding you with matches like some other services, but you can also try the discover feature to click profiles you like in the hope they like you back. The key to accessing the chat feature on Coffee Meets Bagel is taking decisive action within 24 hours to like a match. After that, instant messaging is easy and direct, being especially focused on helping you build something strong once you find compatibility. With everything based on the mobile platform, you’ll start to feel like you’re texting back and forward with a good friend using smileys. Don’t miss your chance to put everything into your conversation once you’ve been successfully matched because it’s likely that you’ll have found someone special. This smart feature on Coffee Meets Bagel enables you to understand what you ideal photo is by getting anonymous feedback from other users (and giving your own). User photos are shown side by side and you just click the best. You’ll get in-app rewards by helping out the community, plus you’ll learn which your best photo is too. To show someone you are totally into them and hope they like you back, you can use the special ‘Send a Woo’ feature. Simply click on the special icon on their profile to send them a loud and clear message that you’re their admirer. 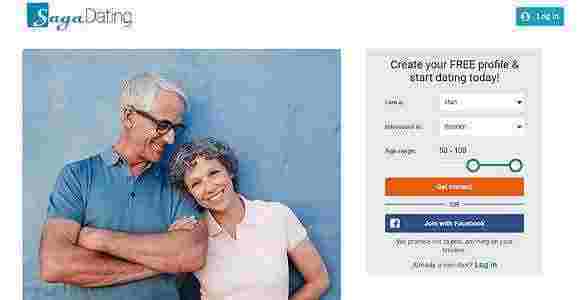 Coffee Meets Bagel is free to a certain extent, with registration, matching and chat all possible without charge. However, the dating service encourages a lot of upgrades due to a highly motivated membership. Users can access a range of upgraded services by purchasing ‘beans’, which can be spent on different options such as profile activity reports. Beans let you see more matches/bagels and also buy more time with potential matches you can’t bear to lose. They will also boost your profile in the discover feature. Finally, beans allow you to re-open conversations that already finished and lets you get read receipts for your sent messages. There are two simple ways to send customer service enquiries to Coffee Meets Bagel. Firstly, you can send requests via email and the service claims they will send back fast and direct replies. In addition, it’s possible to ask questions in public via the Coffeemeetsbagel Twitter feed. For those easily answered questions, you can read up on the FAQ page and save yourself the trouble of emailing or tweeting. We found Coffee Meets Bagel to be a dating service with a caring and original attitude, which pairs you up to some good solid matches. They give useful dating advice and try their best to help you get your profile right. Their efforts to boost your enjoyment of the service seem genuine. We liked using a service that was fast to sign up to while also providing fairly accurate matches. The only thing that may put some people off is the necessity to link your Facebook account. There are pros and cons of only using the service on mobile but on balance, the dating benefitted from such an approach. If you are looking for a more personal way to find targeted matches you’ll appreciate, then we recommend you give Coffee Meets Bagel a go.